The new financial year for Australia is coming and here are some migration related news you need to know. If you missed our earlier news entry on the VAC increments, click here to find out more. The new fees apply if you submit a visa application on 1 July 2015 or after, so you can still submit an application now to avoid the fee increase. The increase ranges from 2.3% to 50%. Note: A credit card and processing surcharge of 3.2% is charged in addition to the fees listed. A ‘balancing investment’ of up to A$ 3 million in managed fund(s) or LICs that invest in a combination of eligible assets that include other ASX listed companies, eligible corporate bonds or notes, annuities and real property (subject to the 10 per cent limit on residential real estate). For the new PIV, a minimum investment of A$ 15 million will be required. It will be available at the invitation of the Australian Government only, with potential applicants to be nominated by Austrade. The investor will be able to apply for permanent residence in 12 months’ time, compared to 4 years for the SIV. The new financial year usually brings Visa Application Charge (VAC) increases and changes to the visa programme. The best mentality for Australian visa applications is to submit an application when you are eligible as soon as possible. Do not put yourself and your family at risk of fee increases (which may be significant if you are from overseas) and migration legislation changes. Act now and lodge your application as soon as possible. 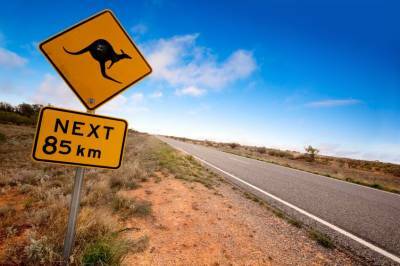 Do you need help with an Australian visa application? At Work Visa Lawyers we are experienced in assisting applicants in all matters relating to Australian visa applications. Our areas of expertise include Skilled Migration visas, Business Skills Migration visas, Employer Sponsored Work Visas, Partner and other Family Migration visas as well as Migration Review Tribunal, Judicial Review and Ministerial Intervention. Are you a High Performing Graduate? South Australia wants you! Are you an international student graduate in Australia? Do you have an Australian Citizen or PR relative in SA? You may be eligible for Chain Migration nominated visa!